This exciting 7-day course is packed full of adventure and exploration! Students gain self-confidence and learn the importance of companionship through supporting one another as they hike in the mountains, rappel down cliffs, canoe on lakes, boulder on the wall and try out their new found skills in the low ropes. The Junior course is designed to draw out positive attitudes and students begin to see challenges as opportunities instead of obstacles. Early Bird Special – Extended! Register your child by Feb 17, 2019 and get $50.00 off! Do I need to bring everything on the equipment list? Yes! What’s on the list is what we consider to be the essentials for the safety and comfort of each participant. If you are coming with a friend you can share biodegradable soap, biodegradable shampoo and bug repellent. Do your best to borrow what you don’t have or check out thrift stores. Do you have any equipment to rent? We have a limited number of sleeping bags and back packs for rent. The cost for renting is $25 each for the duration of the course. Sleeping mats (for camping in the mountains) are available for $10 for the course. Please contact the Educo office to reserve. We also have extra warm clothing and some rain gear to lend out. We have a limited supply though so please do your best to borrow/bring what you can and if you’re still missing something after that, we’ll outfit you when you pack for your out-trip with your group. There is no rental fee for warm clothing and rain gear. We recommend a medium-weight hiking boot with ankle support to prevent sprains. If you are purchasing new boots, wear them around home for a few days before arriving for your course. This will help break in the boots and prevent blisters. How many people are on a course? Our camp holds a maximum of 50 students. Each course group is divided into cabin groups of 8-12 students, with whom most of your course activities will take place. If I come with a friend will I be in the same group with them? Yes, you can request to be in the same cabin group with a friend, but requests aren’t guaranteed. Because our student groups are so small (8-12 students) we grant a maximum of one cabin buddy request per participant. Part of the Educo experience is making new friends! Our staff are chosen for their abilities with people and children, their integrity and their enthusiasm for life. Many of our staff have started as Educo students. Applications, interviews, current criminal records checks, external certifications and internal training are required steps that all our staff need to complete. Check out our Risk Management Plan to learn more about our staff requirements and meet the staff on our staff page. 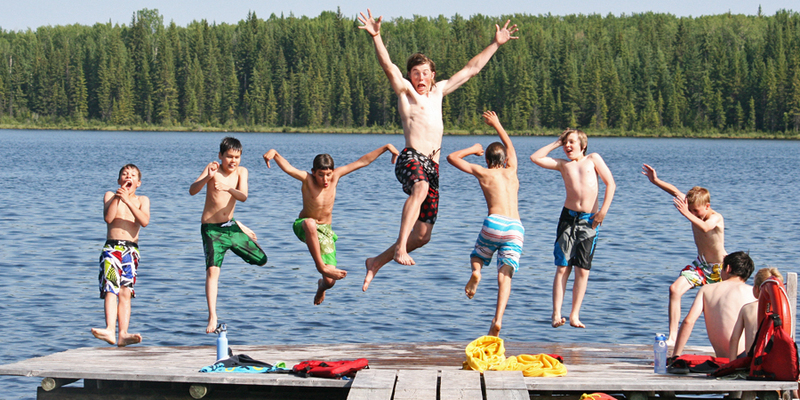 Educo Adventure School is a non-religious, non-profit, charitable society registered in B.C. It is run by a Board of Directors who hire an Executive Director to run the organization. The Executive Director hires the Program Director to handle the operation of the programs and the program site. How do I get to Educo? Download our printable travel directions pdf so you can navigate to our site. Keep in mind, once you leave the pavement for the dirt road, you lose cell reception so keep your printed directions at hand. If there is no electricity at the site, how do you keep all the food cold? At the site we have a number of propane fridges and freezers (and they all have their own names!) that we keep food in. We have a wood-fired hot water heater for doing dishes. We also have solar panels to operate our emergency phone, radios and kitchen and first aid room lights. At Educo, safety is our number one priority. Educo’s operating policies and procedures, professionally trained staff and industry-approved outdoor equipment ensure course activities are as safe as possible. Our safety procedures also ensure the risks in course activities are more perceived than real. Read more about our risk philosophy. Arrive anytime between 2pm and 4pm on the first day of your summer course. We kick off the course when everyone has arrived at 4pm. You’ll receive a confirmation email with all the details when you register. What happens on the last day of the course? The hardest challenge at Educo is taking the magic and the lessons you’ve learned home – the integration of your experience into your daily life. To help with integration, we host an Open House on the last day of the course. The Open House is a chance for parents and families to share in the stories of the course, to witness their child’s achievements and transformations, and to see the site and some activities. To students: If you’ve ever tried talking in front of a group of people, then you know that it’s a challenge. But by the last day, you’ll have a whole lot of inspiration to pass on! You see, jumping off of the zipline platform or climbing a huge peak is one kind of challenge. Finding the courage to speak about your own experience is a completely different ball game. It’s the final Educo challenge and it’s a great springboard to jump off toward home. To family & friends: We strongly encourage you to not only join in the Open House, but also to provide encouragement and support in this time of transition. Family and friends are invited to the Open House demonstration and celebration beginning at 12 noon on the last day of the course (Saturday). Please arrive at the site anytime after 11 am to greet your child and check out the grounds. Activities will end around 2:30 pm. Seems all pretty strange to me still. So what’s a course like anyhow? What am I going to do there? Is it going to be any fun? Just when you think you might be driving down the wrong gravel road into the middle of nowhere, you see a big sign between two trees and pull into the parking lot of Educo Adventure School. You made it! Taking your bulky backpack and other gear from the trunk, you get to make your first decision of the next few days: you pick your bunk. What looks like rough digs compared to your cozy bed at home will soon appear to be a wonderful simplicity. With so many new faces around you, it’s hard to imagine that in ten days, you’ll feel as if you’ve known these people all your life. The first afternoon you get to know the site – the lakes, the fields, and the outhouses. As you settle in, you maybe take a dip in the lake, throw a frisbee, meet a few people and some zany staff. Sounds like a regular camp so far, right? Well, hang on tight. The rest of the course is a ride you won’t soon forget. That night you meet your group and you might get just a little bit crazy on your first adventure with your groupmates. (The details are highly classified but the night might involve a swamp or two and a whole lot of laughter). The next couple of days are a blur of low ropes, bouldering walls, canoes and team challenges. By day three, you are already saying to yourself: “I did all that? !” But it isn’t over yet! You arrive back at the Educo site, your instructor honking happily as your van pulls into the driveway. Welcomed back excitedly by other staff and students, this place that once seemed foreign starts to feel like home now. And after a week in the mountains, those outhouses are looking luxurious! There is even a pump at the site to get water out of the ground. (We call it Educo ‘Gold’!) Incredible! You take some time to clean your gear and yourself, maybe with a sweat in the sweat lodge or a sauna and a dip in the lake. When you emerge, you put on your best digs (or cleanest clothes at least) and there is a delicious Grad dinner prepared for you to celebrate all that you’ve accomplished over the past ten days! As the last evening plays out, you take some time to gather your thoughts on all the new things you just experienced. It becomes clear that you did something truly amazing beyond words and pictures. You did it. You had an experience that was more than just fun; it was inspiring, adventurous, and empowering, and more than likely you learned something about yourself along the way. After dinner, your toes tingle to the beating of drums as a ceremony of celebration unlike anything you’ve ever experienced before unfolds. The final morning, Educo is a bustling place as parents pull up in the driveway. You rush out to the parking lot to give your family a hug, glowing with rejuvenation from your week. Your parents are ushered into the Rec Hall where your Open House begins. It’s time to share some stories from your week and what you’ve learned about yourself and your peers with your family. With butterflies in your belly, you stand up proudly to share all that you accomplished and the magic of Educo. It’s time to go. You hug your new best friends and wave goodbye, with promises to keep in touch, as you head off down the gravel road to town.